And the lucky photo-sharing winner is Cherie Grindley. Big congratulations Cherie!! Please leave a message via the My Natural Baby facebook page with your delivery address details and your Manduca package will be sent to you right away. Thanks again to everyone who joined in the photo-sharing fun during October. If you didn’t see the photos check them out on the New Zealand Babywearing Week Facebook page. This entry was posted in Giveaways and tagged babywearing, International Babywearing Week. 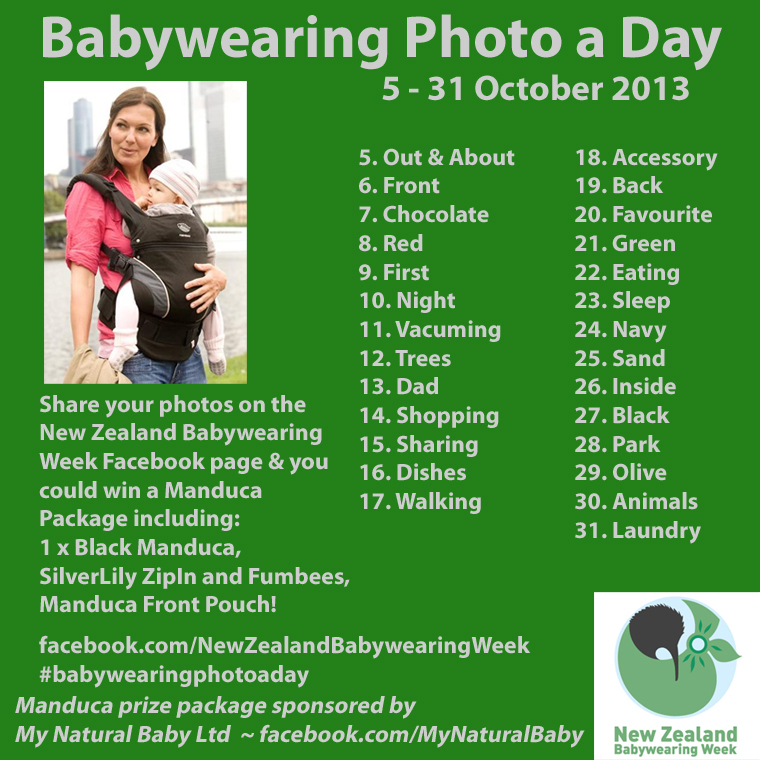 New Zealand Babywearing Week, Manduca, manduca baby carrier, My Natural Baby, NZ Babywearing Week, photo competition. Bookmark the permalink. Congratulations Cherie! Such an awesome prize! !